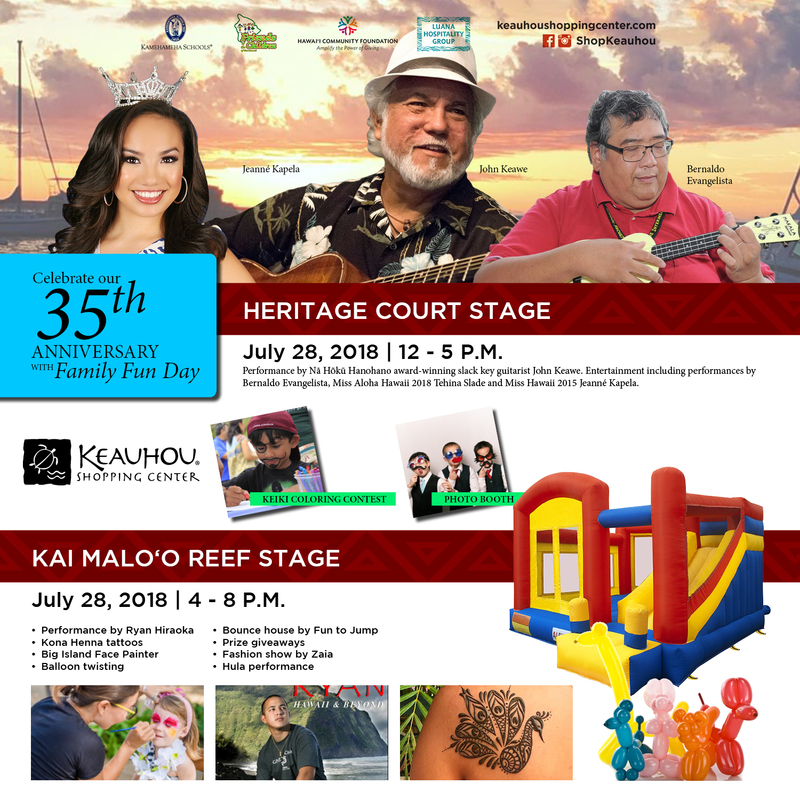 Keauhou Shopping Center celebrates 35 years in the community, with a free Family Fun Day, on Saturday, July 28, 2018, starting at noon. 12 to 12:15 p.m. Welcome! 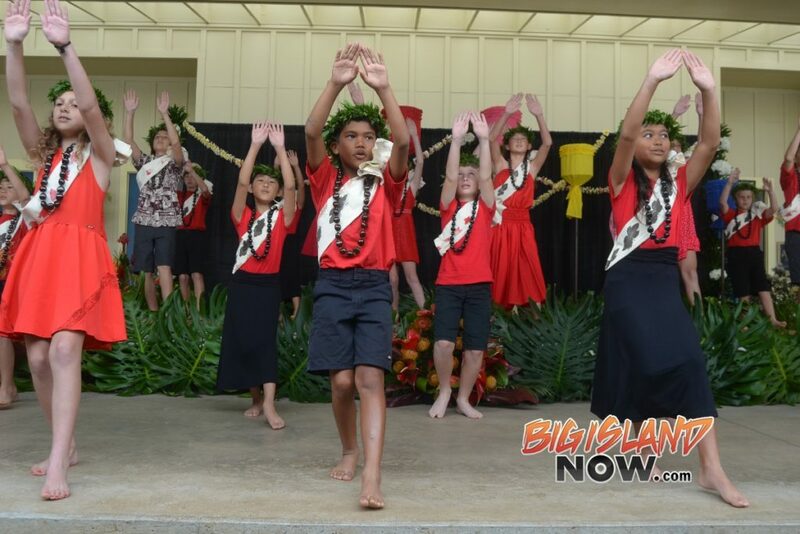 Children’s games and activities including: keiki coloring contests (three age groups), photo booth, an “InstaFamily Photo Challenge” (a fun series of riddles for families to solve, with answers posted to Instagram), prize giveaways and more. Additional collection drives for keiki in need, with other community partners: dresses for elementary and middle school age girls from low income or at-risk families, with Dress a Girl – Around The World; slippers for children and youth who can’t otherwise afford foot protection, with Happy Feet Rubba Slippa Ministry; and infant and toddler clothing for low income families with young children, with Sunday’s Child Foundation. 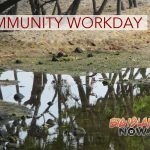 Cash donations for Puna relief accepted. 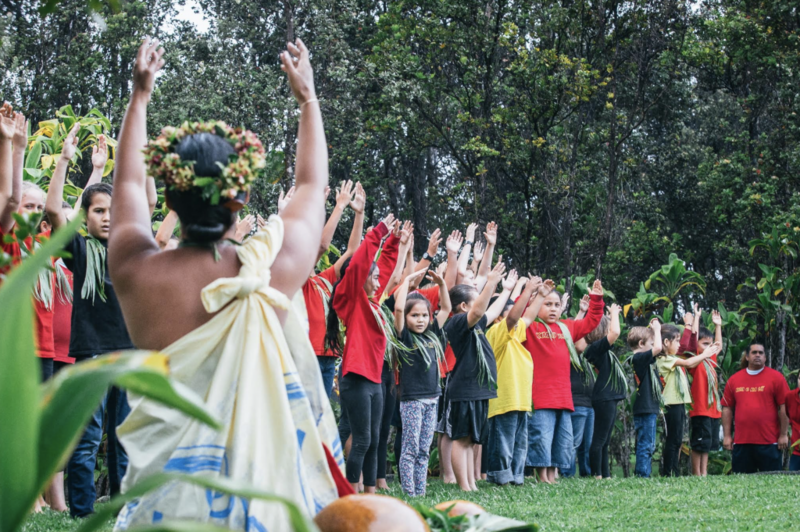 Through the generosity of the Hawaii Community Foundation and its partner, the Luana Hospitality Group, donations will be matched dollar for dollar, up to $30,000, at Keauhou Shopping Center’s Family Fun Day. Free fun, including balloon twisting, face painting, henna tattoos, a bounce house and more! Visit Keauhou Shopping Center’s ‘ohana of merchants, restaurants and businesses that have made us a favorite Kona destination for 35 years. Specials during the anniversary celebration include Blue Sea Artisans Gallery, offering 10 to 25% off selected items, and Paradise Found Boutique, with 25 to 50% marked down on selected items. 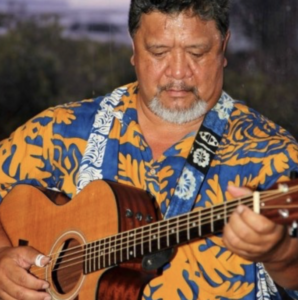 Also check out pop ups from Royal Thai Cafe, Zaia and Mauka Makai Movement.